Relive the times of a great man in our historical shop. 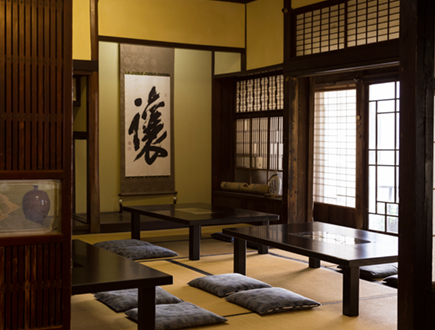 Tsutaya is based in a historical building known as “Anjin no Yakata” or Anjin’s House. Anjin was the Japanese name of William Adams, an English navigator employed by the Dutch East India Trading Company who reached Japan in 1600 after a perilous voyage. He became an advisor to the Shogun, the ruler of Japan, and was made the first and only western samurai in Japan. Although his estate was near Tokyo, he worked most of his life for the Dutch and English trading posts in Hirado whilst living in this house. with some sweets and a tea or coffee. 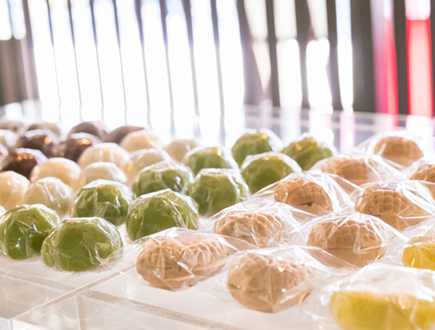 At Tsutaya you can not only buy our seasonal sweets, but you can also take a break in our Japanese style tatami room or on one of our benches. In the atmospheric old building you can feel Hirado’s rich history whilst gazing out into the garden. Select a sweet of your choice in the shop and ask for tea or coffee at the counter. Please relax with a little pick-me-up in our historical store. ※ Due to limited stock of products we recommend to inform about the availability before your visit. Copylight HIRADO TSUTAYA co.,Ltd. All Right reserved.